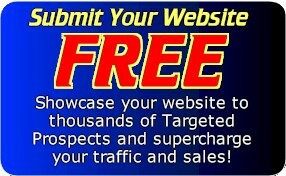 1MinuteAds - Show Your Favorite Web Site, Absolutely FREE, to a Highly Targeted Audience! By signing up as a free advertiser you must maintain an active, reachable, email address. Failure to do this will result in your account being cancelled and the forfeit of your downlines and commissions. If their is any doubt use a yahoo, or gmail address. Autoresponder emails go direct to the server and to admin. They do not reach anyones else. When the scripts detect an autoreponder they remove the email address and your account. This means you will lose any downline you had and any commissions due. From time to time you will receive periodic admin emails which may contain updates and promotion ideas to help you market 1minuteads more effectively online. We may also offer specials and discounts on selected products or service we deem will help you in your quest to succeed online, plus, from time to time, we may bring to your attention items that impress us that you may find of value. The personal information you provide to 1MinuteAds and JPE Advertising when you purchase our products will be held in strict confidence and will not be distributed, disseminated, shared, sold, traded or given away, under any conditions, to any third party, except in the case of a court order and then only in strict accordance with privacy laws. 1MinuteAds and JPE Advertising employ a strict NO SPAM policy. All our leads, personally generated and those generated by our third party partners fully comply with the CanSpam Act 2003, so you have real peace of mind. We utilize verified, double optin techniques in the gathering of all leads and signups. All content included on this site, such as text, graphics, logos, images, scripts and back office design, is the property of 1MinuteAds and JPE Advertising, or its content suppliers and protected by U.S. and international copyright laws. No part of our website may be reproduced, copied, duplicated or transmitted in part or in full by any means (including printed, text or digital form) without written permission from the authors. No one can guarantee results as this depends on factors beyond our control such as, website sales copy, navigation, loading speed, market demand for the product or service you are offering, and other factors. If you join as a silver, gold or platinum advertising, you are paying for targeted advertising, and as such, all sales are final and no refunds will be offered. We guarantee to display your websites in front of thousands of people with similar interests, nothing more. 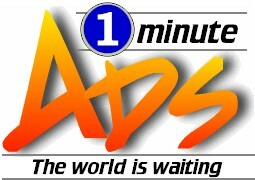 1MinuteAds and JPE Advertising does not warrant that our websites or services will be error free or uninterrupted. Our websites and services are delivered on an 'As Is' basis without warranties of any kind, either expressed or implied. 1MinuteAds and JPE Advertising will not be responsible for any losses, damages or costs that you or your business may suffer when using our websites or services. You agree to indemnify and hold harmless, 1MinuteAds and JPE Advertising, from any claim resulting in your use of our website or services. You expressly agree that your use of our website and service is at your sole risk. Neither 1MinuteAds and JPE Advertising, or it's service providers, agents, licensors, employees, or third party partners shall have any liability for any damages suffered by you or any other party as a result of the use or misuse of our services. All earnings statements, expressed and implied are not average and are the express opinion of 1MinuteAds and JPE Advertising. You may do better, or not as well. Much will depend on your level of expertise, your dedication, and communication skills. Copyright 2019 and beyond, 1MiinuteAds a division of JAM Marketing Inc, all rights reserved. No portion of this site may be copied or used in any printed material or in any electronic medium without the express permission of JAM Marketing Inc.